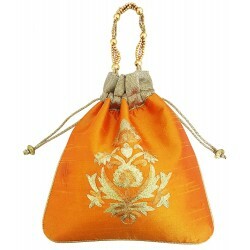 Statement piece lotus shape embroidered potli bag. 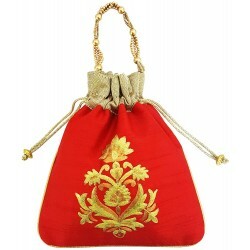 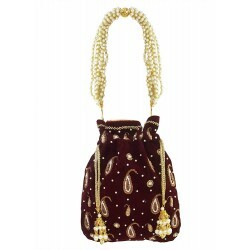 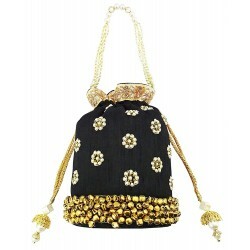 Traditional lotus shape potli bag with gota, sequins & zari paisley embroidery all over. 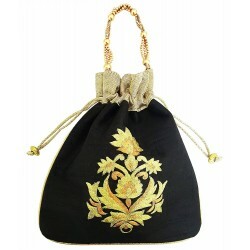 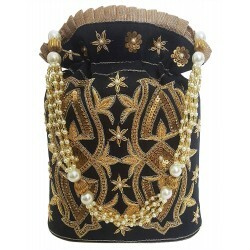 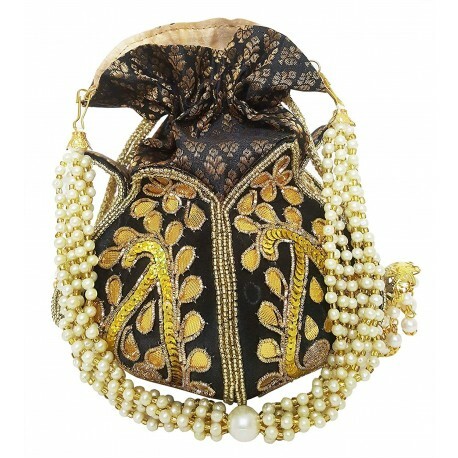 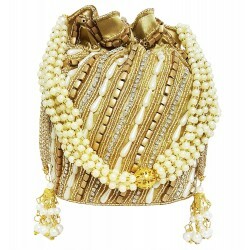 It has gold crisscross drawstring dori tie up & pearls sling with multiple strings of white pearls & it has a lining inside. 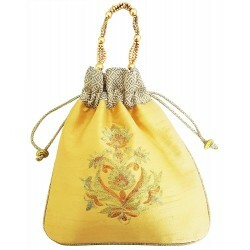 It is a perfect accessory for bold women of today as many Bollywood actresses can be seen carrying this beautiful bag.